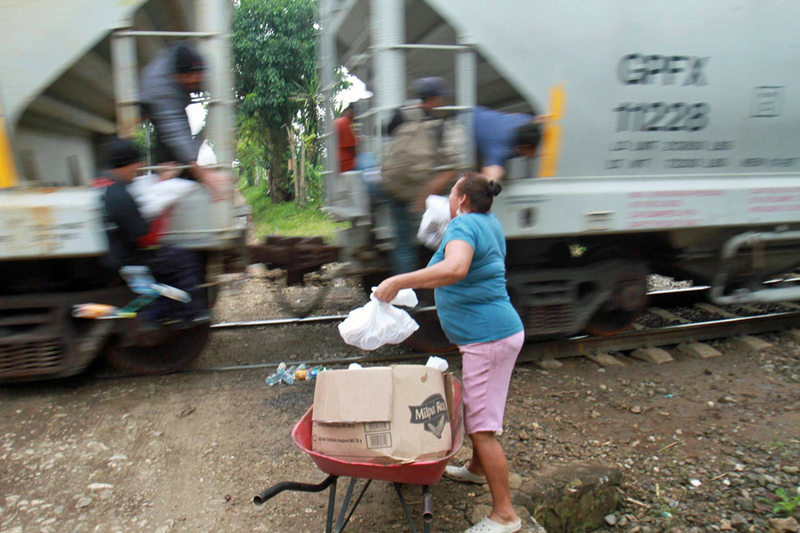 Day after day, for more than 20 years, a generous group of women in Veracruz, Mexico give food to Central American migrants who travel atop the freight train, known as “La Bestia”, bound to the United States. Taking their name from their hometown Guadalupe La Patrona, Las Patronas prepare the food which they package in plastic bags to give to migrants on the train as it passes through their community. The town has now become a symbol of hope for migrants from Central America who make their trip across Mexico in their search for a better life. However, Las Patronas is an organization whose mission goes beyond humanitarian assistance, symbolizing a kind of resistance against a system that criminalizes migrants, demanding for open borders and the right to mobility. They represent a form of solidarity and organization that begins in the kitchen. This is the story that a production team wants to tell after closely following Las Patronas and their work for more than a decade. The documentary “Las Patronas’ Kitchen” (La Cocina de las Patronas), seeks to portray the intimate space of the women in their place of work and their transformation over the years as they have stood along the side of the rails of “La Bestia” to accompany migrants in their strenuous and dangerous journey to the US-Mexico border. Their sense of solidarity and humanity also stems from their own lived experiences in a poor and rural town also affected by migration. “They are peasant women whose work has gone beyond providing assistance as they have transformed themselves into activists, with a strong political discourse. They are also the wives of migrants,” said Iliana Martinez, researcher and member of the SacBé Productions team. In 2013, Las Patronas’ received Mexico’s most prestigious human rights award. The independent documentary is an extension of the short film “La Patrona” produced by Sacbé Productions in 2009. The new documentary project will be focus on the epicenter of Las Patronas’, the kitchen – a space that has become political, and where they are able discuss the issues that affect them such as poverty, migration and the disregard of their rights as women in Mexico. Sacbé Productions has set up an Indiegogo campaign, with a fundraising goal of $15,000 USD that will fund the postproduction costs required to complete the independent documentary. Although the campaign is reaching its end, all donations raised will be kept by the production team to cover postproduction expenses. For more on “Las Patronas’ Kitchen” documentary visit Sacbé Productions Facebook page. For additional information on Las Patronas and ways to support, visit their website and Facebook page.